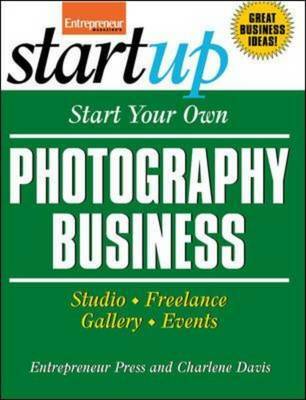 If you have a talent for snapping great pictures, why not turn your hobby into a lucrative business? You can take portraits in a studio or on location, submit photos as a freelancer to newspapers and magazines, frame and display your favorite shots in a gallery, or record special events like weddings and sweet sixteen parties. No matter where your talents and interests lie, you can make a bundle from your work with this expert advice. Learn how to: * Set up a functional studio and build a portfolio * Choose the right equipment for all types of photos--and find great deals on the cameras and accessories you need * Find paying jobs and market yourself professionally * Get great exposure for your work at art festivals, contests, galleries, local businesses and more * Protect yourself from legal concerns such as copyright infringement and privacy issues Whether you want to earn a little extra money with a part-time business or set yourself up as a full-time, professional photographer, all the information you need to succeed is inside.